Do you want to see SEL advance in this state faster with support and funding from the state government? If yes, will you say yes to taking a few minutes to engage with the legislature to help this effort? Our counterparts and mentors, the Massachusetts SEL Alliance, has been successful in advancing SEL adoption in their state well beyond California’s, including in playing a key role in their legislature recently creating a special SEL-inclined state commission (to which the Mass. Alliance has been appointed as a permanent member) to promote positive mental, emotional and behavioral health and early intervention for persons with mental illness and those inclined to substance abuse. They primarily did it with phone calls, emails and visits to legislators. AB 167 seeks to provide more funds for childcare and development services for infants and toddlers. AB 895 – reforms and expands mental health services for youth and would impose a tax of 1% on incomes of $1 million or more. AB 1196 – Enhances model “county education department community schools” in at-risk regions. AB 1624 – seeks to provide more funding for monitoring and reporting on what is and isn’t working around school climate and mental health elements such as SEL. SB 686 – Creates a competition grant program for low-income areas with at-risk youth that includes in its focus “whole child” development from cradle to career. WORTH NOTING: The Mass. Alliance Is currently supporting a legislative bill that we could emulate in California. The bill will make SEL training an explicit requirement of educator and administrator licensure and renewal. More to come on this. Among the leading lights in promoting social-emotional learning in California are the state’s afterschool programs, which have a higher SEL adoption rate than day schools, with support from their umbrella association the California Afterschool Network. Advocates met with 120 members of the Legislature, backed by support from localities, including resolutions from the LA City Council and LAUSD board. AB 1725 is the proposed legislation fix, introduced by Assembly member Wendy Carrillo and listed above as among the bills we encourage Alliance members to get behind. Again, your emails and calls do make a difference! Alliance member Committee for Children (CFC) announced this month that it is creating a new SEL program for afterschool care, summer camps, and other learning environments beyond the classroom. The Wallace Foundation is providing an assistance grant of $836,500 to launch an adaptation of CFC’s award-winning Second Step program during the 2019–2020 school year. 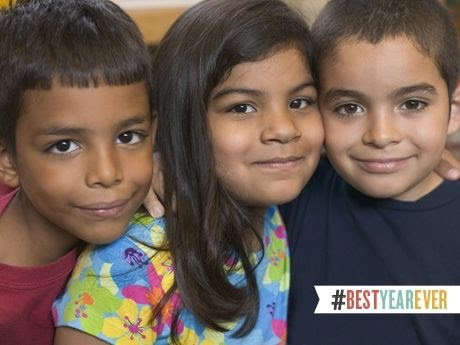 Second Step currently reaches 14 million children annually, from preschoolers to middle schoolers. Alliance member and parent coach Thanna Vickerman (see chooseloveparenting.com) urges other members to share with parents the upcoming course from her teacher and mentor Dr. Laura Markham, author of Peaceful Parent, Happy Kids. The course includes a good deal of bonus material including Markham’s earlier “Conscious Co-Parenting” series from her Aha! Parenting website, along with some exclusive interviews. Alliance member Maja Watkins of Zip Zap Zop Enrichment and her colleague Tia Marie Harrison are leading a series of what they call Improv Games to teach SEL social skills to educators and parents in a relaxed atmosphere. From Maja: “Many social skills classes are in clinical settings where they have specific goals that are being worked on in a particular way by the support providers. Life isn’t always that mapped out. For Alliance members with children or to recommend to parents: Zip Zap Zop separately has inclusive summer improv-oriented camps in Mid-City Los Angeles, Pasadena, and Santa Monica. Zip Zap Zop is a Vendor of Regional Center, so some camps are eligible for Regional Center Funding. Click here to read more about improv SEL at Inspired Parenting Magazine, an Alliance member. Planning continues on holding the first Alliance SEL Parent Fair this summer in Los Angeles as a test model for galvanizing parents into the cause. The centerpiece agreed to by Planning Team members will be a series of demonstration trainings by Alliance members for attending children that parents can witness, each demonstration touching on a different SEL theme, such as emotional management or resilience. There will also be brief talks on research results of SEL intermittently with the demos, tabling, and separate parent advocacy materials and guidance. Most likely venue is a school. To let us know you want to be involved in the Parent Fair, please contact info@sel4ca.org and watch for our email announcements. NOTE that an email was sent to Alliance member providers calling for proposals to present at the Parent Fair to be sent in this week. Anyone with SEL school experience, or who has checked research data, knows SEL leads to improvements in attendance, behavior and course performance. The firm Panorama Education recently announced the results of its study focused on the 2017-2018 school year, which sought to determine exactly which elements of SEL lead to specific best outcomes. Its national sample covered 112,670 students in 192 schools in 26 districts and 16 states. It found that improvements in attendance and grades correlated most closely with classroom instruction in self-management and self-efficacy. Behavioral improvements correlated most closely with training in self-management and social awareness; also with the quality of teacher-student relationships. 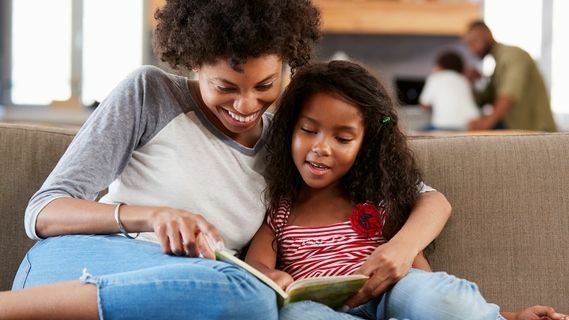 “School and family partnerships can be as important to students’ SEL development as their academic progress, finds a new meta-analysis in the American Educational Research Association’s Review of Educational Research journal. This fall at the latest, Sesame Street in a joint venture with McGraw-Hill will bring research-based Sesame Street content and expertise into pre-kindergarten (PreK) and elementary school classrooms across the U.S. “The first integrated program will incorporate critical social emotional learning skills like empathy, self-awareness and resilience into McGraw-Hill’s industry-leading Wonders literacy programs for PreK and elementary students, equipping the youngest learners for success from the start,’ the companies announced last year. 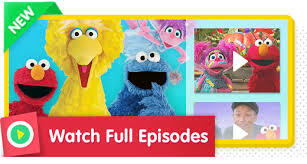 Sesame Street has also been active on the SEL front with PBS Kids, as the image above encapsulates. 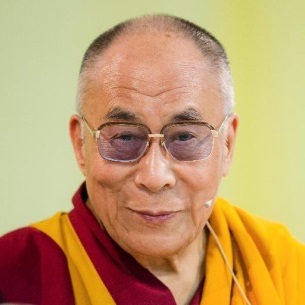 Early this month His Holiness the Dalai Lama became one of the few globally-known individuals to associate publicly with and strongly promote what he calls “SEE” (social, emotional and ethical learning). At a press conference in Delhi, he announced his alliance with Emory University in Atlanta, Georgia in support of programs that are available in 12 languages, including English, via Emory. SEE Learning Associate Director Brendan Ozawa-de Silwa said that “the program brings the latest innovations in social and emotional learning, systems thinking, compassion and ethics, attention training, and trauma and resilience together in a single comprehensive package for teachers and schools with the intention of realizing the 14th Dalai Lama’s vision for a holistic education of heart and mind. “SEE Learning consists of a framework… that is tailored for different age levels and an online platform for preparing and supporting educators and schools. All these materials are made globally available for free, thanks to the generous support of his holiness.” Read more. * Report commissioned by Microsoft on importance of SEL in age of artificial intelligence. This entry was posted in Newsletter on April 18, 2019 by Jay Levin. For the last year our California Alliance has been part of an informal network of similar statewide Alliances sharing monthly best practices, developments and technology to grow our movement. In February the informal network became formal, now representing 14 states. The brand new website is – surprise! – SEL4US.org, and we encourage you to visit it to learn and engage. Among other initial offerings, right now on the home page you’ll find notice of a grant proposal from Novo Foundation. They will award up to $5,000 to individual teachers or groups to implement an innovative SEL project in their classrooms and/or schools in the 2019-2020 school-year, and up to $25,000 per year for district-level awardees. The deadline for applications is March 22. Starting to gain attention is the extensive Guide to SEL Resources just released by the CED. Too plentiful to summarize here, the Guide was produced by a cross-agency project team under CED’s umbrella. The Guide’s resources are intended to supplement the State SEL Guideline Principles issued a year ago December. Affirming CED’s growing support for SEL, the guidelines were produced by a special state commission backed by the department, this in conjunction with the Collaborating States Initiative in which several states undertook to develop such principles in unison. Coming (likely this month) are recommendations to expand SEL statewide and locally – these from a team that emerged from the original Guidelines Commission. The recommendations are said to cover legislation, changes of language in the codes, a range of grant requirements, support for implementation on the local level, and other germane issues. Our Alliance is likely to back many of the proposals – and especially those dealing with SEL funding and teacher development. The team behind the proposals emerged from elements of the Guidelines Commission, particularly educators from Orange and Butte counties who had extensive experience in implementing the Multi-Tier System of Support with its special SEL attractions. 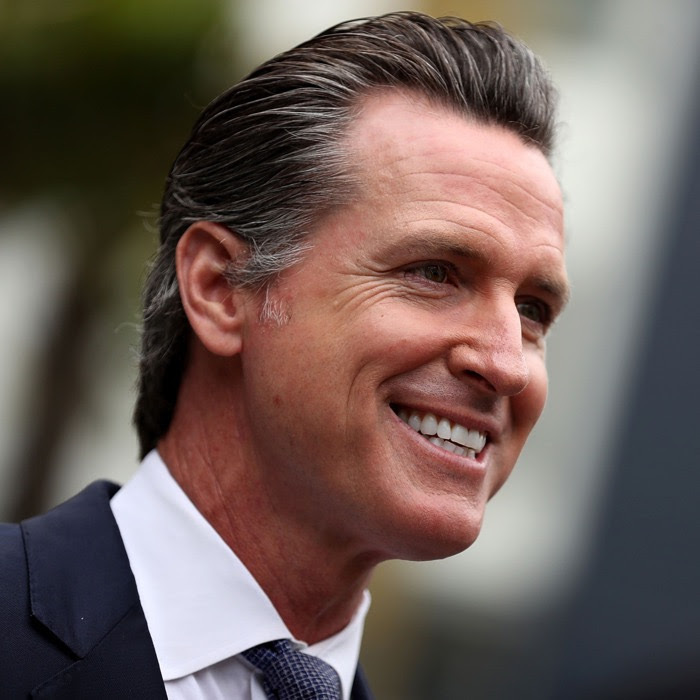 The Legislature session is underway with hundreds of measures touching on education already introduced and with Governor Newsom’s proposal to increase pre-school funding by $750 million (helpful to SEL as pre-schools lead in SEL adoption) topping the new initiatives list. A number of bills embrace or advance important elements of social-emotional learning. AB 895would reform and expand mental health services for youth and would impose a tax of 1% on incomes of $1 million or more. AB 1196 Although new State Education Superintendent Tony Thurmond, a former legislator and SEL supporter, hasn’t endorsed any specifically helpful SEL legislation this early in the session, he has sponsored a measure to enhance model “county education department community schools” in at-risk regions. These “bring educators and community partners together to create high-quality schools with an integrated approach to academics, health and social services, youth and community development, and community engagement.” More about such schools. Please click REPLY with (1) your desire to attend the Alliances first statewide SEL Conference, ideally next Fall or early next year, and our first modest Parent SEL Fair in Los Angeles this summer (2) your desire to present at either event and what the substance would be (3) your recommendations for presenters and breakout sessions (4) your willingness to help with the tasks to make these events successful (5) Your desire to have a table at either event. (6) Your desire to be one of the sponsors of either event. The LAUSD has certified Alliance member The Narrative Method, founded by Shari Foos, MFT, to provide Continuing Education empathic training workshops to its teachers in salary point classes. From their website: “A compelling group experience… in a compassionate learning environment, participants practice the tools of The Narrative Method to improve students’ communication, and increase their empathy, self-esteem, and compassion for differences.” Click for more info and how to apply and dates. Alliance member Linda Glaser operates a unique and successful curriculum-based program at Mar Vista Elementary School and Canfield Avenue Elementary School that trains parents to teach social-emotional learning skills and problem solving strategies in a classroom setting. Parent volunteers are trained to teach 30-minute lessons once a week in the classroom. Linda seeks to teach this program to other program providers. At the same time she is interested in training or partnering with member program providers in their SEL methods. Learn more by contacting communitycirclela@gmail.com. Click for more info. This is a big-picture look at how states, districts, and schools can reach their students through social-emotional learning strategies and other best practices for motivating and engaging students. Join on Wednesday, March 20, 2019, from 10 am to 1 pm PST for a deep dive into SEL in your schools. “What are the essential practices for social emotional learning (SEL)? How can we, as educators, model SEL, measure it, and integrate it into the culture of our classroom and school?” asks EQ.org. A pioneer in the EQ and SEL worlds, we want to remind Alliance educators whose colleagues aren’t being supported in their own SEL development, that their website offers a number of free and low–cost courses. Teacher development ones can be found here. “The Partnership for Children & Youth (PCY) has released a new American Institutes for Research (AIR) evaluation of PCY’s Expanded Learning 360°/365 initiative. 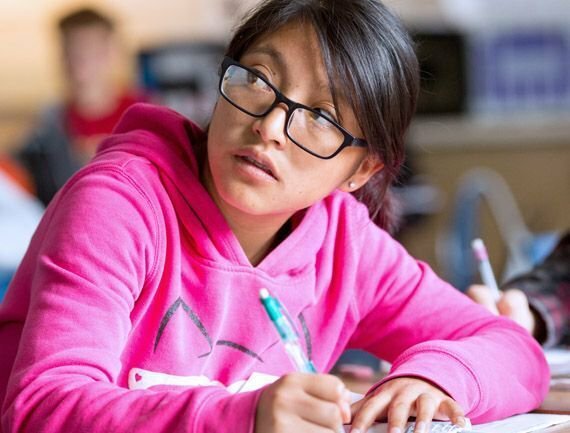 PCY launched the Expanded Learning 360°/365 initiative in 2015 to address an overlooked opportunity: the growth in school districts’ interest in SEL occurring at the same time California’s expanded learning system has focused to improve SEL outcomes. “A professional learning community of diverse school districts focused on planning, aligning, and implementing SEL across the school day, after school, and summer. AIR evaluated the professional learning community from January 2017 to December 2018. AIR observed various impacts like increased professional development; collaboration between school-day and expanded learning staff; and stronger data usage and sharing. The evaluation affirms the powerful effect of collaboration. “Review the short summary and infographic Key to Bringing Social- Emotional Learning to Life here. Read the evaluation brief here and an evaluation summary of AIR’s findings here. Read AIR’s full report, the Professional Learning Community Evaluation, here. 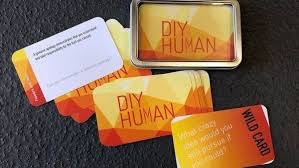 DIY Human hosts card nights at its studio in Santa Monica. Always free admission if you buy one a deck of their cards. More info here. Schools and out-of-school time programs are invited to ask their high school students to complete a one-time, anonymous self-rating on the DESSA-HSE. Parents are also invited to participate. Stipends are provided to all participants as well as each coordinating school/out-of-school-time program site. Learn more here. Cherly Leet – Director of Learning, Six Seconds, Phoenix, Az. This entry was posted in Newsletter on March 11, 2019 by Jay Levin. Apart from the overall enthusiasm for the cause and the sheer fun of the event, the practical outcomes were the many good ideas that came from breakout groups and that many more members signed up for action teams and tasks under our revised team structure – which after further input from members, we have expanded from 4 to 7 mutually supportive teams. Please see attached Support Opportunities sign-up sheet of specific tasks if you have not sent one in. You can copy it into an email or just send only your relevant answers to info@sel4ca.org. Team leaders will then be in touch. AND: If you are on our mailing list but not yet a formal member, please click the red “Join” button upper right on the home page at www.sel4ca.org. The teams are: (1) Creating Non-Training Events in coordination with (2) the Outreach/Recruitment team (with subset teams targeting educators, parents, community organizations, businesses and athletes). (3) Creating and conducting Basic Introductory Trainings in SEL and its implementation (these separately for administrators, teachers and parents AND CRUCIALLY absent recommendations for specific programs or consultants). (4) Public Policy Advocacy. (5) Fundraising. (6) Website & Social Media Content Development . (7) A Providers Team made up of program developers and consultants that will devise actions and recommend policies for their industry (more info on this below). ONE IMPORTANT NOTE ON ADVOCACY for all of you who want to see expanded SEL public advocacy, the Alliance is subscribing to and will be installing a new advocacy phone system. 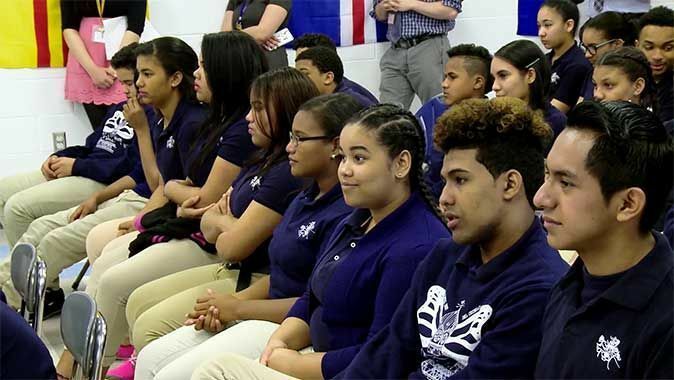 It was highly instrumental in the success of our allies, the Massachusetts SEL Alliance, in recently persuading that state’s Legislature to create a Social-Emotional Learning Commission to advance implementation in that state. We ask all members to sign up for and participate in the new system once we install it and inform you of it. The Alliance can now directly receive tax-deductible donations via Earthways Foundation. Earthways has mostly engaged in environmental work since the 1980s and in the last three years has expanded into supporting mind-changing education with an emphasis on SEL. Please consider donating to our staffing fund (we have one part-time Coordinator and one part-time admin assistant and want to continue to support them…and ideally expand their support for all our member volunteer teams). Or: Send a check made out to Earthways/SELC at 20178 Rockport Way, Malibu CA., 90265. Earthways EIN is 95-4021351. Here are three recently released status reports. The Alliance held a special – and successful – Oct. 9 meeting in LA of 25 SEL Provider members on Oct 9 and a follow-up video and phone conference call meeting on Nov. 1 with 10 provider members who could not attend the Oct. 9 event. 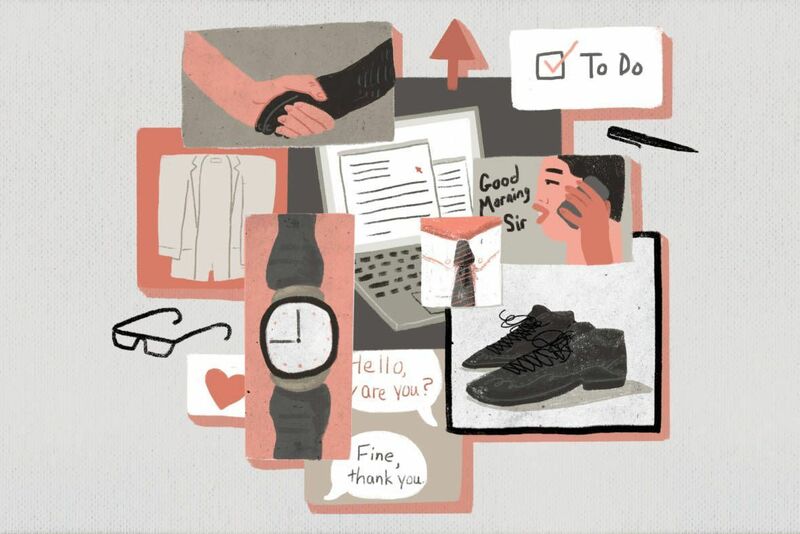 These were events for members in the business (even as a nonprofit) of delivering SEL into schools, families and youth organizations, doing so as non-staff outside program providers, consultants or trainers. We reviewed in detail the question of forming a Providers Trade Association under the umbrella of the Alliance based on the simple reality that SEL businesses are among the few business sectors that lack a trade association promoting its collective products and services. Other initiatives that emerged from attendees included strengthening current efforts a to get the word out generally about SEL offerings, expanding plans already in the works to conduct special basic trainings for administrators that don’t favor any specific program provider, stepping up forming partnerships with other Alliances, and choosing a test area in California to saturate our efforts in order to make a buzz that would be heard around the state. Stu Semigran is the co-founder and president of EduCare Foundation and the executive director of EduCare’s ACE (Achievement and Commitment to Excellence) Student Success Program, currently providing student support services at more than 100 high schools and middle schools in Southern California. This FREE interactive session focuses on shaping successful learning environments for children of all ages – environments that thrive upon a foundation infused with caring, connectivity, and proven SEL practices. Mitva Challenge is hosting the LA Youth Summit at the California Endowment in downtown Los Angeles for 150 of our students and their teachers for a day of skill-building workshops and a Project Soapbox competition. Alliance educator members are invited to participate. Contact: Sheila McMullin at sheila@mikvachallenge.org. Introducing a new class in Santa Monica on Tuesdays in November from 4:30-5:30 for age 5-11! Email Maja @ zipzapzopenrichment@gmail.com for details! (NOTE: Congratulations are due to TONY THURMOND for his election as California School Superintendent. Although as a nonprofit, the Alliance cannot endorse candidates, informal conversations with members found very strong individual support for Thurmond. The Alliance will continue to encourage strong progress on all SEL matters by the CA Education Department (CED) and we want to acknowledge the progress made under outgoing Superintendent Tom Torlakson. Governor Brown recently signed an overall anti-bullying measure passed unanimously by the Legislature. It requires the California Dept. of Education (CDE) to monitor whether education agencies in the state have adopted a policy that prohibits discrimination, harassment, Intimidation, bullying and cyberbullying based on disability, gender, gender identity, gender expression, nationality, race or ethnicity, religion, sexual orientation, or association with a person or group with one or more of these actual or perceived characteristics. The new law also adopted a process for receiving and investigating complaints relating to discrimination, harassment, intimidation and bullying, including a requirement that school personnel who witness such acts take immediate steps to intervene when safe to do so; and a timeline for the investigation and resolution of complaints, and an appeal process. Among several other actions, the new law ensures that complainants are protected from retaliation and that their identity remains confidential, as appropriate. The law also requires the CDE to create an online module to assist all school staff, school administrators, parents, pupils, and community members in increasing their knowledge of the dynamics of bullying and cyberbullying. Please send news or sharings you want posted to info@sel4ca.org and event announcements to events@sel4ca.org. This entry was posted in Newsletter on December 3, 2018 by Jay Levin. Mark your calendars to come party, network and learn. We both celebrate the first anniversary of our California SEL Alliance and get to know each other much better on Sunday, September 30 from 3 to 6 pm in a beautiful home of one of our members in West LA. This is an opportunity for members, supporters those who want to learn more about the Alliance to meet, party with and network with your wonderful group of like-hearted and like-minded allies in our absolutely crucial movement to insure comprehensive social-emotional learning in every California school. Our membership and allies include educators, program providers, implementation consultants, and community organizations. What unites us is our collective understanding of the importance of – and need for – providing every California child and youth the opportunity to optimize their school experience and their life prospects with the learning and school culture we embody. This will be the first major social event of the Alliance. We will also take some time for status updates from leaders in our cause on the progress of rollout in California and key current opportunities. Also time for you be sure to meet members with whom you might specifically collaborate. And there will be some entertainment. So you’ll have fun, learn, make new friends and allies…and launch the Alliance into its second year with a blast of our collective heart energy and commitment. Our tagline for the anniversary event is: Never underestimate how much California – and the world – needs us. There will be food and drink, some entertainment, and some words of information and inspiration. Feel free to invite cause-minded others. The Alliance has reached agreement with the Cal State Dominguez Hills Center for Service Learning, Internships and Civic Engagement to create a youth brigade of SEL and anti-bullying advocates who would take the message and training we would provide into local middle and high schools – and also work to inspire similar brigades in other colleges.. Currently the division gives academic credits for students who mentor pre-college students in local schools, particularly in Compton. Under the agreement, Alliance Coordinator Tisha Marina Bernard will train Cal State Dominguez Hills students in non-violent and anti-bulling practices that they can then share with younger students. They will also learn general social-emotional learning principles and be taught how to instigate SEL pods or clubs in schools they visit. Ultimately we hope to tap the creativity of students to spread the word about SEL and become innovative advocates for it in their schools – and generally. We also will invite willing students into the Alliance and onto a Youth Committee we will form. Watch your emails for an invitation to a major working event this month for our many member providers, consultants and trainers (separate from our Sept. 30 Anniversary party and mixer.). This event will further lay the groundwork for creating an SEL trade association via which to present your case to the public, school districts and legislators. Our view is that no sector as important as SEL should go without its own trade association and the Alliance leadership is determined to mentor one into existence. 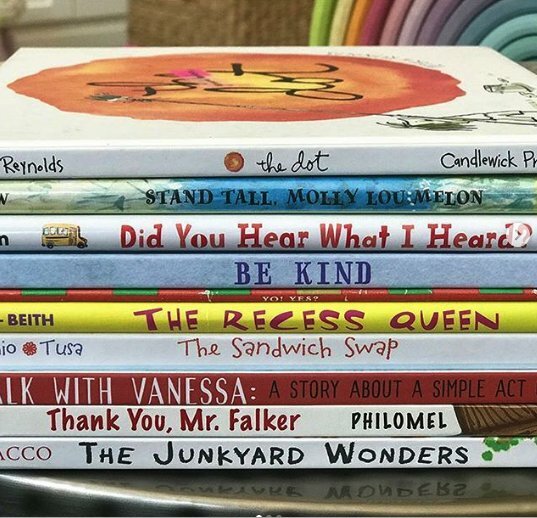 • Despite White House objections, Congress approved an increase in SEL-related funding for California in its recently voted education fiscal budget, increasing it for the second straight year by $4 million to $139 million. • The photo above was taken at an event for 150 educators undertaken by the Sacramento County Education Office to meet demand for more information about SEL. Sacramento is one of the districts that have moved strongly to adopt SEL practices in recent years under the guidance provided by the Collaborative for Academic and Social-Emotional Learning (CASEL) based in Chicago. Trainers from another forward-looking district, Visalia Unified, led the event. • Michael Funk, Director of the Expanded Learning Unit of the State Education Department, who is in a position to know, says there is a notably strong “uptick in educators seeking more info about social–emotional learning practices statewide.” He notes a recent conference organized by the Orange County Education Office in which SEL was a significant topic in an event focused on the multi-tier system of support adopted by the state in recent years. There was also a recent SEL workshop in Pomono, and an upcoming event with Contra County school districts to which he is invited to speak about State-backed SEL guidelines announced earlier this year and their relationship to expanded learning. • Michael also notes that while the guidelines are not mandates, they are getting greater attention because they align with state requirements for schools around “school climate” adjustments. “We are trying to promote the guidelines as the way humans behave and are interactive with each other versus something we just teach in the curriculum.” He predicts increasing adoption under L-Cap plans by districts and administrators as educators and students “more and more see the guidelines as tools they can use” in addressing school climate issues. Policy Analysis for California Education and the Learning Policy Institute invite you to an event on how schools can be organized to support the whole child, featuring a series of panels with leading researchers, policymakers, and practitioners. From our Alliance Member: The Committee For Children. 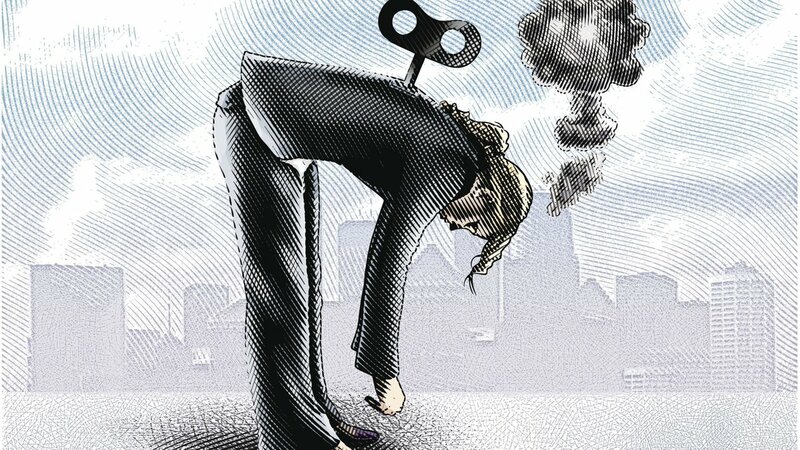 • CA – AB2691 Pupil health: pupil and school staff trauma: Trauma-Informed Schools Initiative. • CA – SB607 Pupil discipline: suspensions and expulsions: willful defiance. • CA – AB2639 Pupil suicide prevention policies: reviews: updates. This entry was posted in Newsletter on September 13, 2018 by Jay Levin. The Alliance in late June and July continued to grow in membership and support. We also added a full-time coordinator, Tisha Marina Bernard (photo above), an expert in anti-bullying training and a consultant to administrators in how to implement SEL in their schools. She can be reached at tisha4sel@gmail.com. We are initiating a series of EdCamps and what we call monthly “coffee hour” conversations with parents and educators to promote actions in support of SEL implementation in all California school. Details, and on how to participate, below. We are planning Mixers for members to get to each other better, socialize and ally. Watch your emails. By next month we expect to implement a “call day” to outreach to decision-makers and legislators so we can mass our effect. You will be notified by separate emails of the opportunities. The Alliance in November will also launch the first of a series of trainings around the state for administrators and superintendents in how to plan and prepare for implementing comprehensive SEL programs and practices in their schools. In the course of the year we will add trainings for teachers and educators. In the Spring of 2019 we will hold our first major statewide conference featuring leaders in the field and intended to galvanize more support for SEL among various constituencies. Some sponsorship dollars have already been offered. We will be targeting neighborhood councils in Los Angeles and elsewhere as potential allies in supporting SEL adoption in all local schools. Comprehensive SEL tends strongly to minimize youth anti-social behavior out of schools and increase student engagement in community improvement. Sound inviting? Please contact Crystal (562-686-4238) or Judy (760-579-2568) to get involved! Edcamps are peer-led, participant-driven professional learning opportunities for educators that use an “unconference” model to build teacher networks and share best practices. We at SEL4CA will be hosting Edcamps with a focus on SEL at two sites in early Fall. Collaborative Classrooms in Alameda, Ca has generously offered to allow for use of their location to facilitate our Northern California site, and Beaumont Unified School District will be our Southern California host location. Please watch @SEL4CA social media outlets for flyers and information…and SHARE SHARE SHARE! This event will also help promote our SEL Conference coming this Spring! 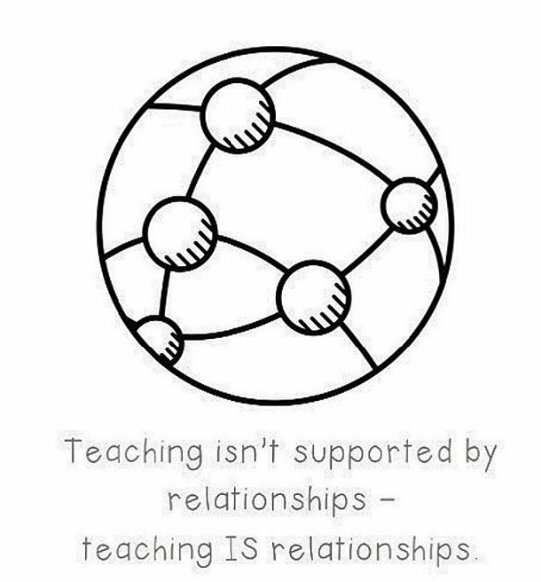 Let’s work together to get the buzz going around SEL in education! Our Outreach Chair, Crystal Chavez, has been piloting a coffee hour model monthly in the Inland Empire, with great networking results leading to future collaborations. (One of these is the upcoming local EdCamp.) Who doesn’t love free coffee and good conversation? As noted last month, a huge detriment to adoption of SEL universally is that program providers and consultants have no unified business association via which to present their case to the public, school districts and legislators. A major factor is the minimal marketing budgets of all but a few of the thousands of providers and consultant. To counter this in California, our Alliance has created a Providers Committee and invited our many provider members to join. The goal is for the committee to collaborate as if it was an association under the Alliance umbrella – and with our assistance. Determined that committee membership will be limited to SEL program providers or their employee reps, SEL consultants, related independent trainers and SEL impact analysts. Brief member product profiles and skills will be displayed on SEL4CA.org. As schools in need become more familiar with the Alliance, ideally they will use this list as a resource in their decisions. Committee members will keep SEL4CA.org updated on current research and developments they learn about, this for the benefit of all members and the public. Providers who are interested in participating, please send notice to info@sel4ca.org. 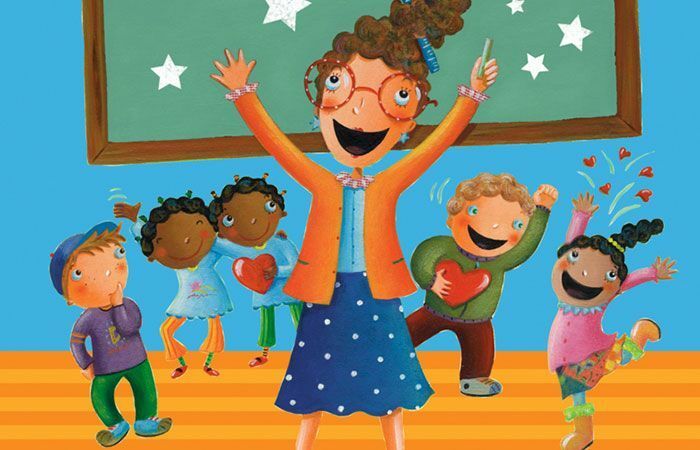 September 2018 is the launch of the multi-media series, “Ask Dr. Leon,” a co-promotion by SEL4CA, AgapeLive.com and InspiredParenting.com. Dr. Leon Campbell is the youth and family director of Agape International. The series brings some of the best social-emotional practices forward as Dr. Leon answers parent questions about their teens, their concerns, their fears regarding the use of technology, communication break downs, addiction, and the like for both parents and teens depicting and sharing their emotional states. Educators can access via interactive print, digital and video formats to learn and to assess the value of creating similar conversations. Contact publisher@inspiredparenting.com for info or to participate. The bills are: AB (Assembly Bill) 2691 Pupil health: pupil and school staff trauma: Trauma-Informed Schools Initiative. AB2471– Pupil health: School-Based Pupil Support Services Program Act. AB2686 – Early identification of pupil mental health issues: in-service training for certificated employees and classified staff. SB (Senate Bill) 607 – Pupil discipline: suspensions and expulsions: willful defiance. To find your representatives and encourage them by email or phone to support these four bills go to https://openstates.org/find_your_legislator. Legislators almost never hear from constituents about SEL because few citizens know it exists. So your outreach can make a difference. On the federal level, we support HR 6120 also known as the Social and Emotional Learning for Families Act or the SELF Act. “To establish a competitive grant program for parent engagement that would focus on the development, implementation, and evaluation of programs designed to increase capacity of parents to demonstrate and teach children social and emotional skills and of teachers to work with parents to develop these skills. While we decided not to publish an partial list of education and community organizations joining our delegations, an additional nine organizations this month agreed to participate in power delegations we are forming to meet with decision-makers in school districts, among lawmakers, and in media. Our intention of course is to make the case for far faster and stronger adoption of SEL in local schools throughout the state. In order to participate as an organization or individual in your area, please send notice to that effect to info@sel4ca.org. Include your geographic area, how far you would travel out of it, and as best as possible your normally available time slots and days. DONATE DIRECTLY: Funding will be used to create events and to continue to pay our part-time (hopefully soon full-time) coordinator – our one employee, since everyone else is volunteer and this is an investment that speeds our growth and effectiveness. You can tax-deductible donate via our fiscal sponsor, BigEQ Campaign/Earthways Foundation, at https://bigeqcampaign.networkforgood.com/projects/53712-big-eq-campaign-to-equip-our-kids. Important that you state in the Donor Response box that it is earmarked for SEL4CA. Or you can send a check made out to Earthways Foundation/BEQC and be sure to write in the memo line at the bottom “For SEL4CA.” The address is 20178 Rockport Way, Malibu CA 90265. To participate in (and learn dates of) an upcoming dinner party, write to events@sel4ca.org. To host a dinner event for friends and colleagues at your home, you can find preliminary information at sel4ca.org/dinner-party/. Write to the Events email for hosting guidelines and sample invitation letter. This entry was posted in Newsletter on August 3, 2018 by Jay Levin. The Alliance in May continued to grow in membership and was one of the co-sponsors of the 400-attendee SEL Conference “Transforming Practice” organized by the LAUSD’s SEL unit and Beyond the Bell (whose leaders are Alliance members). Keynote speaker was Kareem-Abdul Jabbar. Half a dozen of our own leaders participated in representing the Alliance in our first major co-sponsorship. We also continued our daily recruitment outreach (among significant new organizations joining are Children Now and Committee for Children) and our collaboration with other organizations in the newly-forming national SEL advocacy network. Our June focus is legislation, delegations to decision makers, renovation of our website and launching our Speakers Bureau. We also set in motion our initial research to create effective workshops for parents and educators that would speed SEL implementation in the state. If you are willing to participate locally in your area or in Sacramento in our delegations to decision-makers in California – such as key figures at the LAUSD – please send notice to that effect to info@sel4ca.org. Include your geographic area, how far you would travel out of it, and as best as possible your normally available time slots and days. One of the major detriments to adoption of SEL universally is the fact that program providers and consultants have no unified business association via which to present their case to the public and legislators. This is primarily due to the minimal marketing budgets of all but a few of the thousands of providers and consultants nationally. To counter this in California, our Alliance has created a Providers Committee and we’ve been inviting our many provider members to join. The goal is for the committee to collaborate as if it was an association under the Alliance umbrella – and with our assistance. In this we’ve been inspired by the productive results of the Massachusetts SEL Alliance, our mentoring organization. We even see the possibly for the committee to spin off at some point as a separate California entity and full-fledged industry association. The most crucial challenge remains state budget financing for SEL, now being considered in the annual budget process. AB (Assembly Bill) 2691 Pupil health: pupil and school staff trauma: Trauma-Informed Schools Initiative. AB2471– Pupil health: School-Based Pupil Support Services Program Act. AB2686 – Early identification of pupil mental health issues: in-service training for certificated employees and classified staff. SB (Senate Bill) 607 – Pupil discipline: suspensions and expulsions: willful defiance. In emailing or calling legislators about these measures, please also urge support for greater SEL funding and protest the expected decline this year of “school to prison pipeline” monies for SEL. We encourage linking the marijuana tax to funding SEL – or insisting that at least money be shifted from less valuable programs. Cite crime, violence and drug addiction reduction as basic reasons to shift funding, as well as higher grades and mentally healthier and happier students and teachers. Legislators almost never hear from constituents about SEl because few citizens know it exists. So your outreach can make a difference. School board members also can be targeted and encouraged to lobby for these measures as well as to advance SEL in their own schools. Search for “school board” in (name of your city or town) and go to its website and get contact information for the board members. Implementing SEL and whole child practices and programs requires as much astute “what works and where and when” guidance as possible. 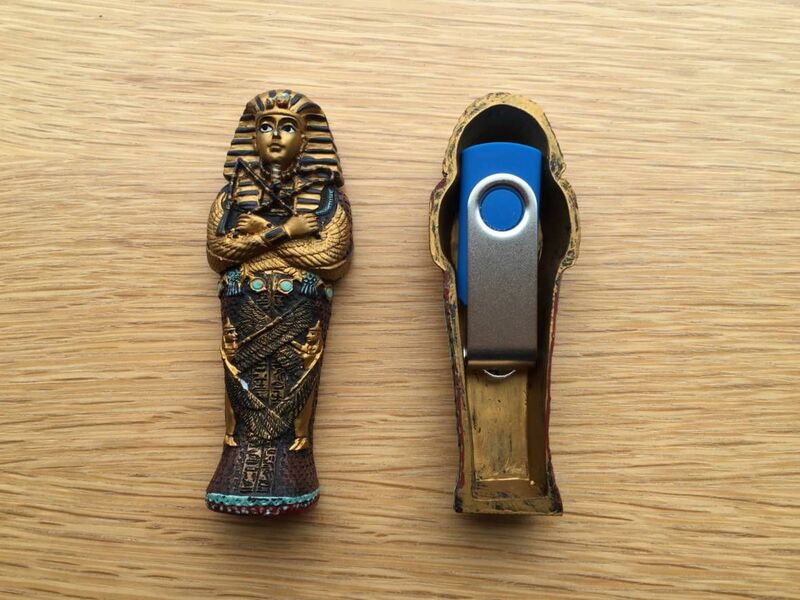 In our website re-do, we will make space for information exchanges on this. Meanwhile, we invite immediate submissions to info@sel4CA.org. Share program results and success and failure stories, recommend consultants, and identify opportunities and innovations. SPEAKERS BUREAU: Please advise about or open doors to speaking engagements before all kinds of groups, large and small, and particularly parent, teacher and business groups. More speakers are also welcome. Email info@sel4ca.org. EVENTS AND TABLING: Notify us of events at which we might table if you cannot table yourself. Let us know if you have spare time to help table at events. We have created tabling content. Email info@sel4ca.org. Ted Lempert – president, Children Now, Oakland, CA. Amy Walker – West Coast representative, Committee for Children, Seattle, Wash.
Brian Brady – national director, Mikva Challenge, Chicago, lL. Rachel Solis – consultant, Center for Collaborative Classroom, San Gabriel, CA. Megan Green – regional director, Center for Collaborative Classroom, Alameda, CA. David Urbonas, program manager, PATHS program of Channing Bete Company, Deerfield, MA. Subscriber: Sara Pumpa, PSA Counselor, LAUSD, Los Angeles, CA. Subscriber: Georgia Weis, Counselor, LAUSD, Los Angeles, CA. Subscriber: Noe Solares, LAUSD, Los Angeles, CA. Subscriber: Khiry Johnson, Los Angeles, CA. Subscriber: Marina Delgada, UCLA, Los Angeles, CA. This entry was posted in Newsletter on June 20, 2018 by Jay Levin. 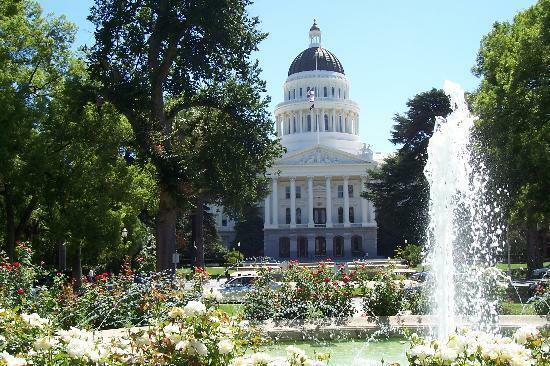 The Alliance in March and early April has been focused on legislative actions and some internal reorganization to deal with upcoming opportunities for advancing the cause of quality immersive SEL in every California school. Because numbers matter, we have also focused on recruitment efforts with outreach calls to more than 100 organizations inviting them to join the Alliance – with several hundred more on our call list. We have also reorganized our committee structure, refined our focus on legislation, and taken steps forward with our Speakers Bureau AND are planning a number of events and gatherings, including social ones. And we added several new members (list below). The most crucial developments at the moment are the state budget financing for SEL, now being considered in the annual budget process, and state Assembly bill 2820 introduced by Democrat Kevin McCarty, a genuine warrior in the Legislature for SEL, not to be confuse with Congressman Kevin McCarthy. We encourage everyone to reach out to your district state Assembly and state Senate reps (easy access info below) with two simple requests – support for greater SEL funding even against the expected diminishment this year of “school to prison pipeline” monies for SEL, and support for A2820 and whatever becomes its Senate version. On the funding side, we encourage linking the marijuana tax to funding SEL – or insisting that at least money be shifted from less valuable programs. Cite crime, violence and drug addiction reduction as basic reasons to shift funding, as well as higher grades and mentally healthier and happier students and teachers. NOTE that your calls, emails or visits to legislators WILL MAKE A DIFFERENCE because few legislators ever hear from individual constituents about specifically advancing SEL – and we need to change that to support people like McCarty. NOTE ALSO that any given legislator may be clueless about social-emotional learning as a term. So best also to make a reference to “school climate” and safety issues and “whole child development” along with mentioning SEL as THE key component of these matters. Be sure to refer legislators and their staff to SEL4CA.org. School board members also can be targeted and encouraged to lobby for these measures as well as advance SEL in their own schools. Search for “school board” in (name of your city or town) and go to its website and get contact information for the board members. Regarding 2820, for those of you who can represent your organization, click this download link ( https://gallery.mailchimp.com/5374f623f3b74c101441a4bf8/files/69eb66ef-bec9-42fb-b3be-0f89cdcdb676/alliance_2820_letter.docx ) to a letter that had an expired deadline to submit. Still, we consider it worth modifying and sending from your organization to your legislator as well as to Patrick O’Donnell who chairs the Assembly Education Committee. “AB 2820… sets up a ‘Community Engagement and School Climate for Continuous Improvement Block Grant.’ This fund would provide school districts, at no cost, the option of using state-vetted school climate surveys, along with support and technical assistance on the administration of the surveys and utilization of results, to improve school conditions and climate. If districts choose to use the surveys, they would be conducted annually with students, parents, teachers, and school staff. The Alliance is participating in the second annual SEL conference in Los Angeles called “Transforming Practice” that mostly attracts school personnel from the LA basin who are practitioners of and advocates for SEL – and primarily those from the 10% of LAUSD schools that have embedded SEL in their practices. It is organized under the umbrella of After The Bell by Alliance member Dr. Lori Vollandt, who heads the LAUSD SEL unit, and by members of her team. Kareem Abdul-Jabbar is the keynote speaker. 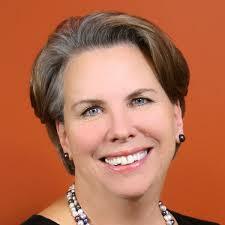 The featured speaker is Nicole Hockley, managing director of Sandy Hook Promise. Last year featured superb workshops. For more information go to https://achieve.lausd.net/Page/14361. The Alliance will be tabling and bannering there and otherwise introducing attendees to our organization. For the last four months the Alliance has participated in actions leading to the formation of a national network of similar groups. The effort is being led by our mentor organization, the Massachusetts SEL Alliance founded by Mitch Lyons and now directed by Jim Vetter. 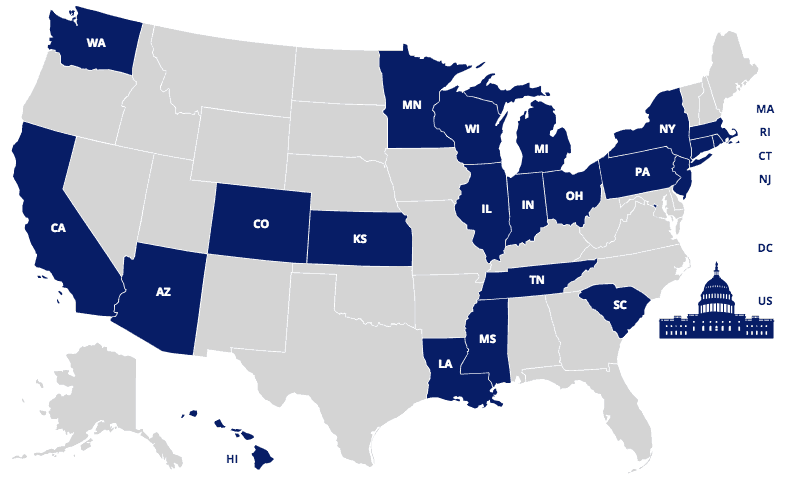 At this point about 40 organizations – some statewide in their states, some more localized but seeking to grow statewide – are participating in establishing guidelines and goals. Like our state Alliance, the national Alliance – to operate soon at SEL4US.org – is meant to fill a gap that has existed since the dawn of SEL 40 years ago. The gap is little to no coordinated action to forward SEL adoption coming from SEL enthusiasts, program developers, beneficiaries and social-change organizations. One benefit of a national Alliance already apparent is learning what advocacy methods others are using that is working; another is co-developing approaches such as to speaking engagements and approaching major businesses and institutions for support. We want to hear from you. Please send to info@sel4ca.org for publication any information and stories about what is working in your local SEL sphere and also your ideas about what directions the Alliance should take in order to be most helpful. In other words, even if you don’t join a committee or take on many tasks, at least provide ideas and information and help guide our direction in ways that will likely be most effective. DELEGATIONS: Let us know by emailing info@sel4ca.org if you are prepared to join upcoming delegations, including to LAUSD school board members and key staff executives, and to key legislators. Or ready to organize a delegation to your school district officials and others you believe could advance the cause, and want to reach out to us for help. MEMBERSHIP RECRUITMENT: Numbers make a difference in our advocacy work, even if your organization or you are only listed as a member when decision-makers visit our website. Sign up at http://www.sel4ca.org/helping-sel4ca/ if you have not already and instead only wanted these emails. Also, very important, please click this download link ( https://gallery.mailchimp.com/5374f623f3b74c101441a4bf8/files/b18b3261-e084-40d1-bf46-e198158d51a9/Alliance_Brochure_5.docx ) to the recruitment brochure to send people and organizations you believe care about the cause, or would benefit from our work to help their own causes. Membership is free and carries benefits and no obligations. LEADERSHIP: We are seeking co-chairs for our committees. The expanded committee list can be found at http://www.sel4ca.org/helping-sel4ca/. You can also elect to join the steering committee. SPEAKERS BUREAU: A number of members have signed up for the Speakers Bureau as speakers, and we have created speaker guidelines. Now we need help from you in arranging more speaking engagements before all kinds of groups, large and small, and particularly parent, teacher and business groups. More speakers are also welcome. Email info@sel4ca.org. DONATE DIRECTLY: Funding will be used to create events and to continue to pay our part-time (hopefully soon full-time) administrative assistant – our one employee, since everyone else is volunteer and this is an investment that speeds our growth and effectiveness. You can tax-deductible donate via our fiscal sponsor, BigEQ Campaign/Earthways Foundation, at https://bigeqcampaign.networkforgood.com/. If you donate online, send an email to info@sel4ca.org stating that it is for the Alliance. Or you can send a check made out to Earthways Foundation/BEQC and be sure to write in the memo line at the bottom “For SEL4CA.” The address is 20178 Rockport Way, Malibu CA 90265. To participate in an upcoming dinner party, send a request for more information about upcoming ones toevents@sel4ca.org. To host a dinner event for friends and colleagues at your home, you can find information at sel4ca.org/dinner-party/. Graci Marroqin – teacher, Menifee, CA. 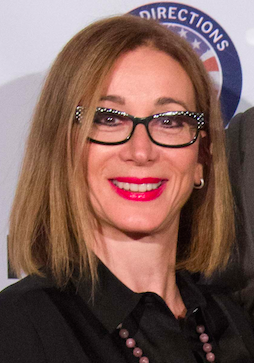 Erica Buxton – CEO, EQtainment, Manhattan Beach, CA. On the News & Events tab at www.SEL4CA.org you can read postings or send in your own. Please send news or sharings you want posted to info@sel4ca.org and event announcements to events@sel4ca.org. By sending an email to info@sel4cal.org and view them at sel4ca.org/jobs-available/. This entry was posted in Newsletter on April 27, 2018 by Jay Levin. As we swing into 2018 action on the Advocacy side, our Alliance is now working closely with Children Now and particularly with its Senior Director for Education Policy Brad Strong, who leads its advocacy efforts and is one of the best informed individuals in the state on the challenges and progress of implementing SEL universally in California schools. 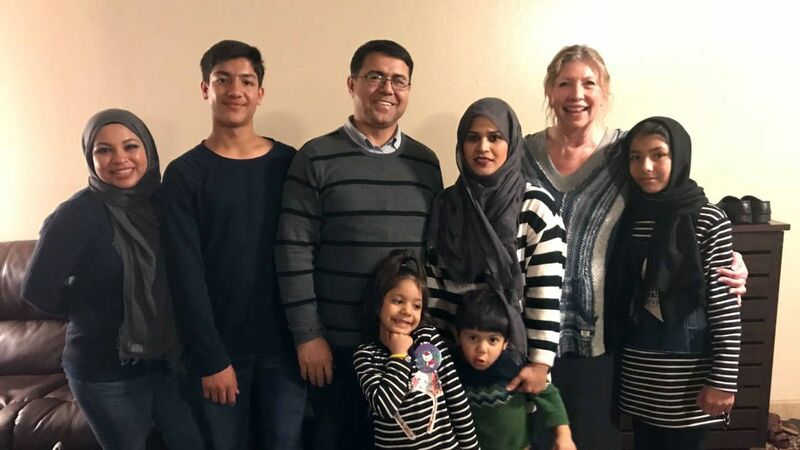 It being annual BUDGET TIME in California, Brad sent this immediate call to action inviting each of us to sign up our organization and ourselves in support of expanded funding for SEL implementation under what is known as “school climate” and “student engagement” funding from the state Legislature. Funding details are in the link to the draft letter in the next paragraph. If, for some reason, you don’t read this or act before Wednesday (and even if you do), please then contact Assemblyman Kevin McCarty and State Senator Anthony Portantino directly and urge VASTLY EXPANDED funding of two areas: The Children Now Initiative and our own SEL Alliance push for funding comprehensive teacher and administrator SEL-implementation training and program acquisitions. McCarty and Portantino are the two individuals in the key positions to effect greater funding. ALSO: Governor Brown’s office is recommending far less funding for SEL initiatives than we want to see. Please make your concerns known to Jenny Johnson, the Deputy Legislative Secretary in his office, and again refer to the Children Now initiative and our own call for implementation training. Her email is Jennifer.johnson@gov.ca.gov. Her assistant’s number is 916-445-4341. NOTE: WE ARE ALSO REQUESTING A GROUP CONFERENCE CALL WITH HER. PLEASE REPLY IF YOU WANT TO PARTICIPATE. MEANWHILE, DON’T HESITATE TO EMAIL OR CALL HER OFFICE DIRECTLY TO ADVOCATE FOR EXPANDED FUNDING. We also encourage everyone to sign up as a supporter of Children Now, which you can do automatically after you sign the letter, or separately at: https://www.childrennow.org/themovement/ There is valuable overview on state developments in the SEL section of its annual Report Card as in other areas. We encourage Alliance member engagement at the local school district and school level. This includes calling for budget shifts and training for SEL practices, and asking your local administrators to join our calls to the legislature and Governor Brown’s office. On a more granular level, we recommend also bringing up these two specific issues with your local districts. · Many school districts are currently NOT surveying parents, staff and students, as formerly mandated (and now treated more than not as optional) for parents and staff to share about School Climate and students on what was called the Healthy Student Survey. Among other data, this provides info and insights that includes bullying, drug usage and absentee causes. Hence there is an information blank that would inform specific state and district policy directions. We encourage re-employment of these surveys in order to learn what the specific needs are now and how effective individual SEL practices are in removing or reducing those barriers to learning and to whole child development. · Surveys also provide data for a crucial need of each district to set and meet standards and practices for academic, behavioral and social-emotional learning adjusted to the existing “tier” system under which students are tiered for their current capacities and growth needs. The core question to be asked: What’s the tier intervention strategy for behavioral and social emotional learning? For example, what will be provided to students running one grade behind? Our Alliance joins in encouraging districts to analyze the specific needs of each tier on the behavioral and SEL levels and build their intervention strategies and programs accordingly. As with our Massachusetts predecessors and mentors at SEL4Ma.org, we seek to accelerate greatly SEL administrator and teacher training at the college level before employment. One way is to mandate such training as part of the credentialing of teachers. In that regard, we want to encourage contact with the state Commission on Teacher Credentialing via emails, letters, calls and appearances at their public meetings urging the beefing up of those standards. The Commission phone number is 916-322-4974 and address is 1900 Capitol Avenue, Sacramento, CA 95811. In addition to the guiding principles, the team is producing curriculum and assessment resources for California educators. Our Alliance website (www.sel4ca.org) earlier published a near final draft of the guidelines. The final version can be found at https://www.cde.ca.gov/eo/in/documents/selguidingprincipleswb.pdf. The strengths and weaknesses of the guidelines can be debated at another time. The Alliance steering and advocacy committees have supported their development as a necessary step in formalizing a structure for the more rapid advancement of SEL throughout a laggard California school system. To its credit, Torklakson’s office has been moving fairly strongly in this direction, both with regulations and inducements, over the last three years. The major gap remaining are the substantial resources needed at the local level for implementation – one reason we encourage the action steps above for funding and changing rules. 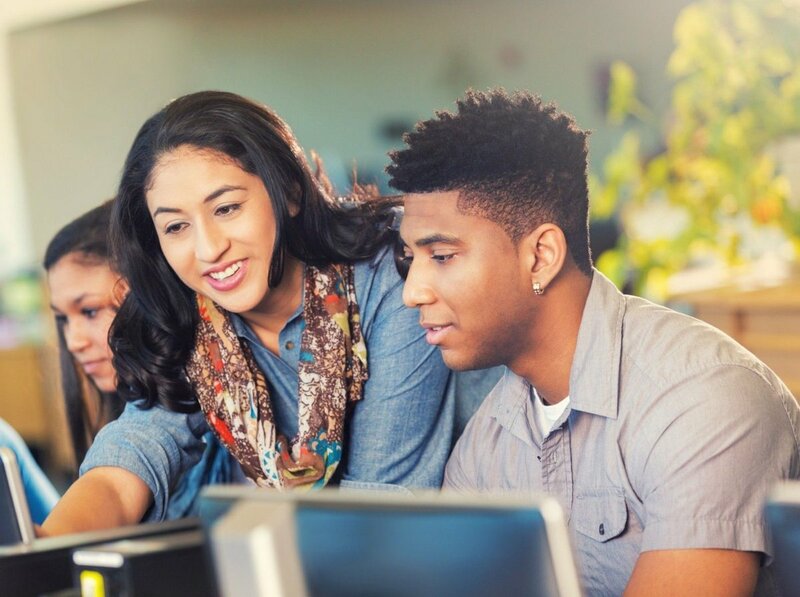 Three members of our SEL4CA steering committee, along with best-selling authors, forward-thinking politicians, clinical psychologists, technology specialists and youth-led education advocates, are featured in this informational online virtual summit focused on the importance of social-emotional learning in schools, sports, business, politics, the home and the legislature. Our colleague Sandie Sedgbeer is hosting the Summit that might help each Alliance members expand our ways to engage with others in our quest to advance SEL in the home and classroom. You can attend for FREE if you act quickly and sign up now! California SEL Alliance is a co-sponsor of the summit along with Inspired Parenting Magazine, Invitational Books, and Franklin Covey. It brings together leading experts in emotional and social learning, progressive education, health, neuroscience, parenting, entertainment technology and business. The series starts on SUNDAY, MARCH 25. The Alliance is a co-promoter of the EQuip Our Kids! 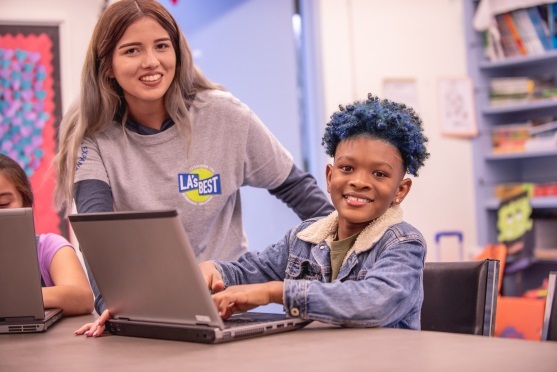 national campaign launched by the LA-based member organization The BigEQ Campaign (BigEQ.org), which focuses on media, marketing and advertising to educate and mobilize a public that has never heard of social-emotional learning or knows its benefits. You are invited to participate in a general video conference call membership meeting at 5 p.m. on March 20. Please RSVP by replying to this email. A link to the conference will be sent later. Julie Johnston, VP of partnerships for Base-ed in San Diego. This entry was posted in Newsletter on March 20, 2018 by Jay Levin.